Prime Minister Narendra Modi on Wednesday launched the BJP's campaign from Uttar Pradesh with a blistering attack on the opposition while keeping the focus on a strong government, saying his administration had shown the courage to conduct a surgical strike in all spheres -- land, sky and space. The contest is between a "a decisive government and an indecisive past", Modi said at a rally in this western Uttar Pradesh town a day after announcing that India had demonstrated anti-satellite missile capability by shooting down a live satellite. He said the country's 130 crore people had made up their minds that the NDA would return to power. "... India has made up its mind who to vote for... For proof, see the large number of people attending this rally," he said amid loud applause from the gathering. 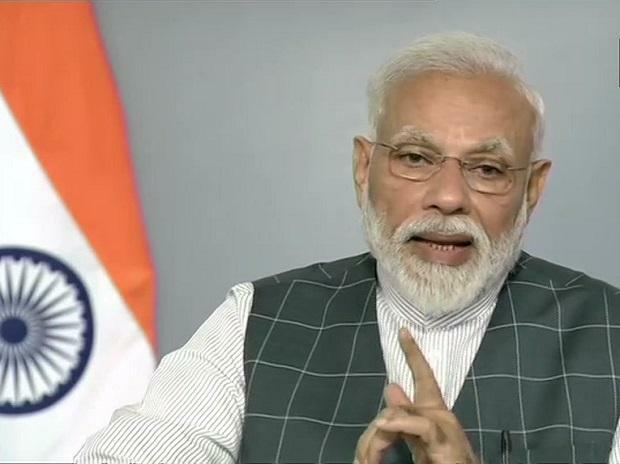 Calling himself the nation's 'chowkidar', Modi said, "It was this chowkidar's government that had the courage to conduct surgical strikes on land, sky and space. India should develop, India should be secure from enemies." The country is, for the first time, witnessing a government that knows how to deliver, he said. The prime minister, who launched the BJP's campaign blitz from Meerut in 2014 too, said he will bring justice to all. The contest this time will be between "dumdaar BJP and daagdaar opposition", he said, driving home his point that his party is strong but opposition parties are tainted. "In the days to come, I'll not only put forward NDA's report card, but also ask the Opposition why they had failed earlier. On the one hand, there is strong development. On the other, there is lack of vision," he said. Modi told the gathering that he would give an account of the work done by his government and of what others had done, or didn't. "When I sought your blessings five years ago, I had said I'll return it with interest and I will present a report card of my work. I also said I'll seek a report card of what work was done in the 60 years before that," Modi said. Taking a swipe at the Congress' minimum income scheme, NYAY, Modi said, "People who couldn't open bank accounts are now saying that they will directly transfer money to the poor. What will they possibly do?" He also paid tribute to Choudhary Charan Singh, former prime minister and father of RLD leader Ajit Singh who has aligned with the BSP and the SP in this election. "There is a specific reason behind kicking off my election campaign from Meerut. I salute our respected Chaudhary Charan Singhji. Chaudhary Saheb is among the great sons of the country who forced the country's government to pay more attention to the farm cells and farmers," he said. "In 1857, it was here in Meerut that the revolt against the British had begun. Chaudhury Charan Singh is a true son of the soil. He worked all his life for the betterment of the people," he added. The prime minister began his address saying the upcoming general elections are about the people's dreams, aspirations and expectations. Uttar Pradesh Chief Minister Yogi Adityanath also addressed the rally. Meerut is among the seven Lok Sabha constituencies in Uttar Pradesh that will head for voting in the first phase on April 11.